1. In a saucepan on medium heat, melt the butter and add the olive oil. 2. Whisk in flour until the mixture is blended. Quickly add the garlic, water, and salt and stir well. 3. Add the wine and stir well. Immediately add the half and half and sour cream and stir. 4. When the mixture is smooth, add the Asiago cheese and stir until melted. 5. Sprinkle the Lavender buds in the sauce, stir and remove from heat. 6. Place desired amount of pasta on plate, and spoon sauce over the pasta. 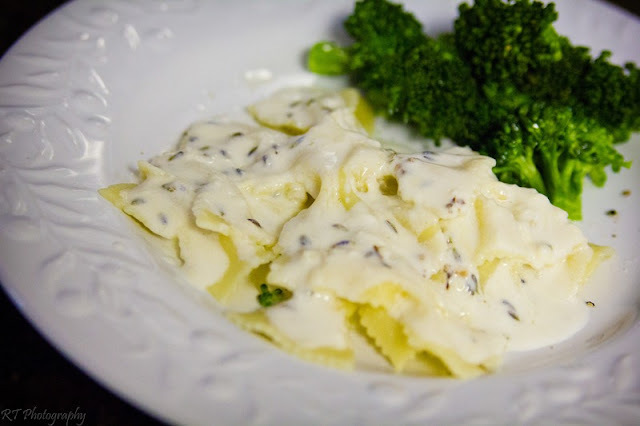 A nice side to go with this dish is steamed broccoli.